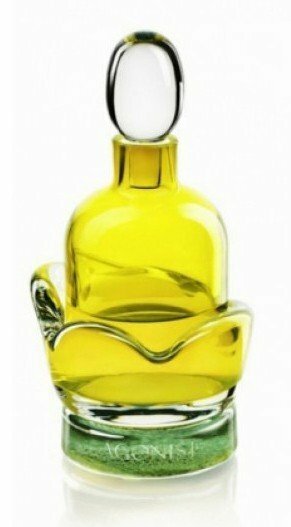 Isis is a popular perfume by Agonist for women and men and was released in 2013. The scent is sweet-gourmand. It is still in production. Isis - the ancient egyptian goddess. Mother of Nature and Mistress of Elements are only two symbolisms of hers. 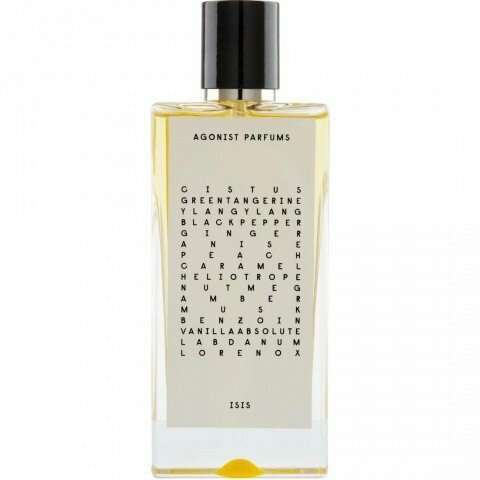 She's the eponym for Agonist's newest scent. It was inspired by the changing of seasons when winter turns into spring. It should capture the exact moment when the first buds begin to bloom. What does this moment look like? Well, it's more of an abstract thing to me. The plant buds are filled with spices and when they open, they release an explosion of aromas. A tart and green beginning opens the scent. The aromas are hard to describe, but I can sense an unripe lemon peel together with some pepperiness and ginger. While this rain of spices falls down, it turns into a dry gourmand when hitting the ground with almost no sweetness. Heliotrope and nutmeg rule from now on. They offer a certain unusual combination here that's hardly to compare with typical sweet or spicy gourmands. "Isis" remains quite long at this stage until the woody side of the Lorenox and some resins chime in. Usually I dislike resins, but their aromatic nuances give something to the scent that just fits here because it's a subliminal addition. The scent isn't easy to categorize. "Isis" does whatever she wants because she is the only one in charge of herself. Does "Isis" embody the moment of seasons changing correctly? Yes, there is a change from cold to warm. The early cold whiff of tart and green spiciness transforms into an aromatic and warm, yet dry gorumand. It smells of nature and its variety of aromas. It's a headstrong scent without clear lines or borders. For perfume lovers who are happy to try out new things it's indeed a candidate to test. The longevity is really good and "Isis" stays present without being overwhelming.